American Society for the Prevention of Cruelty to Animals - their mission is to provide effective means for the prevention of cruelty to animals throughout the United States. 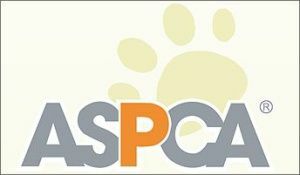 Click here for more information about the ASPCA. Creatives Inspirit is a creative arts company that aims to nurture all kinds of creative talent through mediums of clown arts, physical theatre, dance theatre, film and other forms of multi-disciplinary work. Everybody Wins! Vermont is a literacy-based mentoring program that sets children up to love reading and succeed in life. It supports local schools and communities by connecting community members to their schools. Haven to Home Canine Rescue - Desai matches gifts to this organization, helping support its mission to rescue dogs in need, rehabilitate them in a quality, nurturing environment, and re-home them in a loving, responsible permanent home as soon as possible. Indian Cultural Club of Vermont - a non-profit organization created to provide the Indian community with access to the rich social and cultural heritage of India. Its mission is to preserve and promote cultural diversity and awareness in the local community including among persons of East Indian descent. 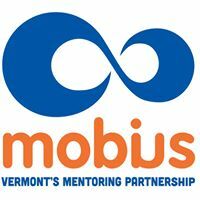 Mobius, Vermont’s Mentoring Partnership, develops a culture of mentoring throughout the state of Vermont by providing resources and support to one-to-one adult-to-youth mentoring programs so they can succeed, grow, and meet the needs of youth in their communities. You can find out more about Mobius by clicking here. 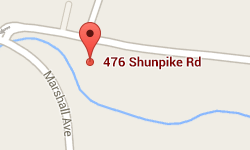 Shelburne Farms - A farm-based education organization whose mission is to inspire and cultivate learning for a sustainable future, to create a healthy and just world rooted in stewardship and community. Technology for Tomorrow - Their mission is to provide access to high-quality technology education to all who need it. Click here to learn more about T4T. 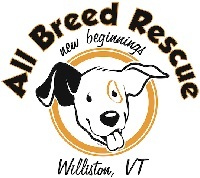 Vermont All-Breed Rescue - a compassionate, non-profit rescue dedicated to saving highly adoptable dogs from high kill shelters and placing them in loving homes in the Northeast. 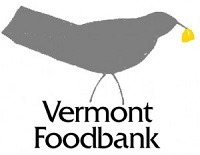 Vermont Foodbank - The mission of the Vermont Foodbank is to gather and share quality food and nurture partnerships so that no one in Vermont will go hungry. Vermont Technology Alliance - Desai is a sponsor for vtTA's Vermont Tech Employment research report. vtTA is the voice of technology in Vermont, focused on supporting, promoting, and growing technology businesses and technology jobs in Vermont. Click here for more information on vtTA.